If you live in Central Florida and you've ever had to move heavy equipment, like construction equipment or tractors in this humidity then you understand how important it is to have a reliable heavy duty towing company to dial in. Over the years Orlando Towing has provided the safest, most reliable heavy duty towing and wrecker service around. We get it, you lift bro.. But moving this equipment without the proper tow truck is impossible. That's why Orlando Towing offers heavy duty towing services to all of Orlando and Central Florida! We lift so you don't have to! The Orlando Towing Company has provided heavy duty towing and wrecker services to the Orlando area for a quarter of a century. Orlando Towing has a variety of medium and heavy duty tow trucks in our fleet that allow any heavy duty towing service to be fulfilled. Call Orlando Towing today! With a diverse fleet of of medium and heavy-duty tow trucks , Orlando Towing is available day in and day out to recuperate your equipment. Our company and select towing partners can't express the amount of professionalism we bring to the table when it comes to heavy duty towing and wrecker services in Orlando. We understand that on some jobs equipment breaks and needs to be replaced asap. We pride ourselves on being the fastest, safest heavy duty towing and wrecker service in Orlando. Our heavy duty trucks and wreckers can tow most large vehicles including; bobcats, tractor trailers, RVs, school buses, police vehicles and fire trucks. ​​Our tow truck drivers have years of experience winching and towing a variety of vehicles and heavy duty equipment in Orlando, Florida. Our experience is vast, having winched many tractor trailers, heavy duty trucks, concrete trucks, dump trucks and construction vehicles. Tractor trailers, Bobcats, construction equipment, semi-trailers we tow it all! Call Orlando Towing and allow us to handle your heavy duty towing needs. Let us earn your business with our 5 star heavy duty towing and wrecker service. 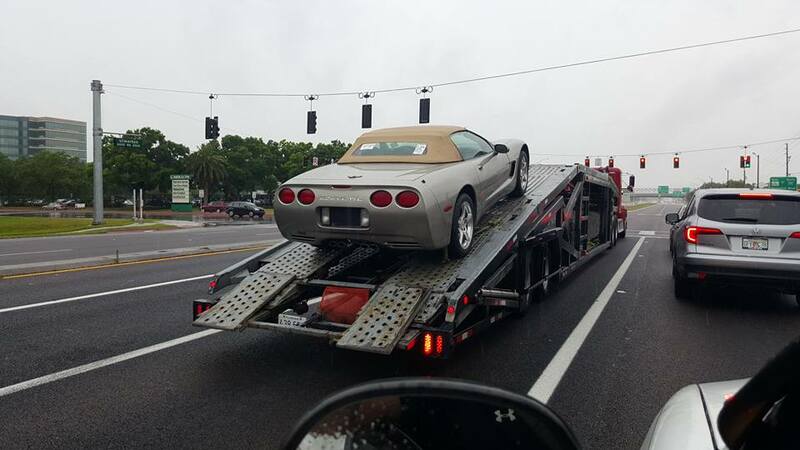 Flatbed towing is a specialty of Orlando Towing. We look forward to helping you with your flatbed towing needs. With continuous training, our tow truck drivers have perfected the art of flatbed towing. Orlando Towing Company provides the best and most affordable long distance towing services. We service the entire state of Florida and we can show up at your door step. Let us handle your long distance towing service needs that way you can focus on everything else. Save more money by using us for your long distance towing service needs! We provide all types of roadside assistance services to the entire Orlando area. Out of fuel? Our tow truck drivers can be at your location to fill you up in less than twenty minutes. Locked your keys in your car? Our tow tow truck drivers have tons of experience and have handed many lockpicking service jobs. Want to share your towing service Orlando Florida experience? Check out our towing blog where all the VIP stuff goes down. Don't hesitate! If you have a cool towing story or you took a cool video or picture let us know! We'll showcase the picture and video and send you back the link! Check out the best towing blog on the internet.